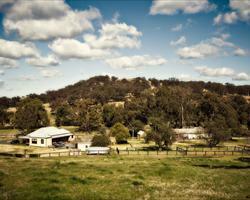 Murrulla Stud is a thoroughbred broodmare farm situated at Wingen, 18km north of Scone. It is easy access to all the major studs in the Upper Hunter, making it the ideal location to board your broodmare for the breeding season. A limited number of permanent boarders are currently being accepted. Tim and Celie Nolan took over the beautiful and historic Murrulla Stud in June 2008. Tim is the son of Basil Nolan – the Studmaster at Raheen Stud in Queensland. Celie was a former veterinary nurse at Vinery Stud in Scone, working under Peter Orton and Tony Scott. 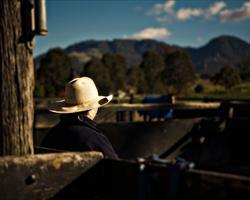 In their first years of owning and running Murrulla, Tim and Celie have achieved much. They have presented formidable drafts to all of the major sales in Australia. In 2009 at the William Inglis Sydney Classic they received the award of the best presented draft, and haven’t looked back since. At Murrulla we are fortunate to have Kingdon Ponds, which is one of the key tributaries of the Hunter River running underneath its lush rolling paddocks. The paddocks are beautifully fenced, and Tim and Celie are very much hands-on, ensuring that the yearlings receive careful individual handling in preparation for the yearling sales. We present our own drafts at the major sales, and you can be assured that no stone is left unturned in the preparation of your yearling.